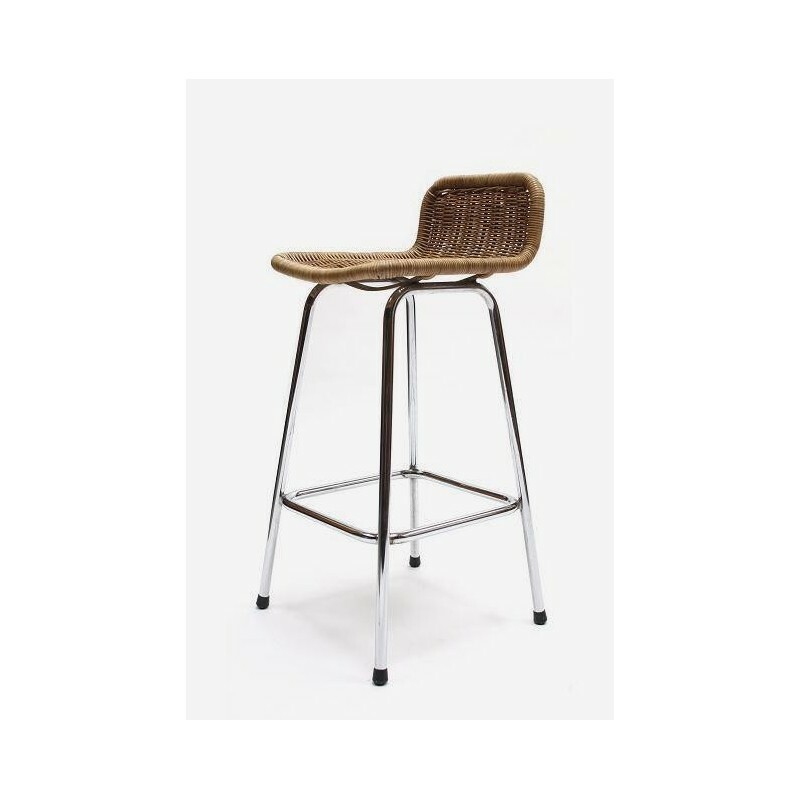 Vintage stool from the 1970's. 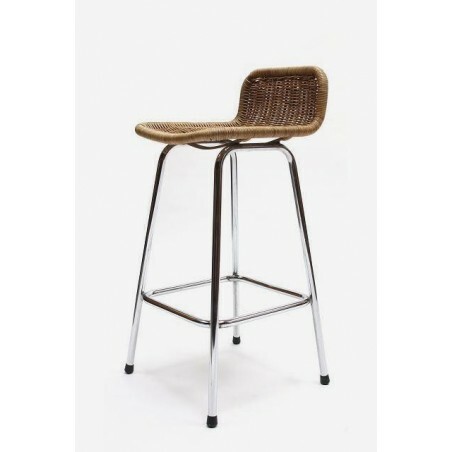 The stool has a chrome base and a wicker seat. The stool is in a good condition given it's age. The dimension is 63,5 cm SH/ 79,5 cm H/ 35,5 cm W.